Tune into Radio Carly: This is what my disability looks like. "I actually think that this may come across as offensive to some who are who unable to accomplish certain abilities that the average person has no trouble with such as walking for example.... I would like to delve deeper into what you feel nethertons actually disables you from doing?" I am well aware that there are people with milder and more severe forms of ichthyosis than I have. But at times - and for a long time lately - my ichthyosis has caused me to be sorer, more isolated and more unable than usual. This past weekend has been a disappointing one. I booked a trip away with Adam, as a relaxing break from our busy lives. I had booked it prior to having my wisdom teeth out, so could not predict the state of my skin then. I have not been able to be active - most of the time away has been spent in bed, sleeping or reading. I've been wearing pyjamas a lot. I can't hold Adam's hand because my hand hurts too much. There was skin everywhere - in the bed, in the bath, on surfaces I haven't even touched. I brushed it off where I can. I can feel my heartbeat in my legs. It pounds. They're weepy, scaly and probably mildly infected. I can't maneuver them properly - every step is a challenge - especially over the bath and down stairs. Putting on socks and stockings is hard, and Adam had to help me put my dress on because my hands and wrists hurt from the fabric. I've been asking Adam to open and pour me water because I can't grip the bottle, and he's been bringing me things to bed so I don't have to get up. I told Adam I'm scared, this is the sorest I've been in a long time. I told him I'm sorry. He hugged me for a long time. My skin has suffered a shock from the wisdom teeth extraction. It often does after medical treatment, stress and even excitement. It's so very sore, and honestly, if I could take a cure pill for the pain aspects of the condition right now, I would. There's the stares and comments too - not so much during this weekend because I'm hibernating, but they're constant and similar to what my more visibly disabled friends encounter. I've not always identified with having a disability - it has only been in recent years. The word was a slur, I wasn't disabled like them, I'm ashamed to admit to my previous internalised ableism. But through meeting and working with others with disabilities and chronic illnesses, I saw I have more in common than I thought. And since identifying as having a disability, I've developed a bigger perspective. A sense of pride. Researched disability politics and history. I belong to an amazing online and offline community. It's brought me many opportunities in writing, speaking, running events, awards and being asked for an opinion by the media. And I'm not as reluctant to ask for help when I need. I carry a lot of guilt - especially around getting the rest and treatment I need instead of going to work (I feel I'll be letting everyone down if I don't go). I feel guilty for spending time in bed when I look like I could be up and about. I worry I'm not doing enough for Adam. And comments like this one also make me feel guilty - guilty for not being disabled enough, questioned in my own community. It doesn't matter if I identify as having a disability and others with the same condition don't. I don't have a parking permit or get the disability support pension. I work full time and then some. I don't use a wheelchair. I am not neurodiverse. And I don't resent or question those who do get these things (they're definitely not privileges nor things to be ashamed about). But the very questioning of my identity as a disabled person is damaging. I wasn't going to explain it, but now I have. Disability is complex. It doesn't look typical. And it's often the physical and attudinal barriers that are more disabling than the diagnosis. (The comment was in response to this post. You can read the full comment here. Did you like this post? Did it help you or make you think? Please consider buying me a drink! Hi. I was browsing blogs and found yours - and this post. 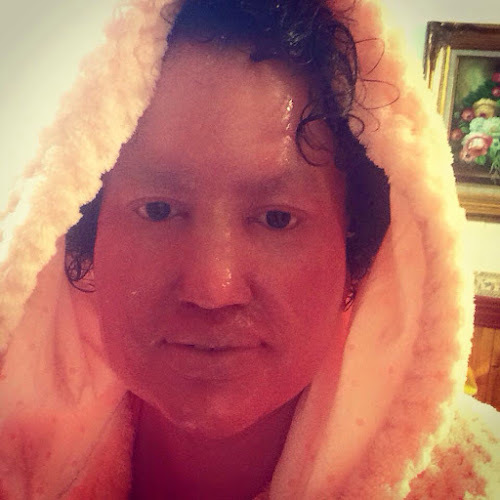 I'd never heard of ichthyosis until now, so I went and looked it up and learned something new. I have had similar responses to my own illness, so I really identify with what you've written. There are varying ways that having a chronic disease can affect daily life and there are degrees to which someone is afflicted. My own illness can range from having dry eyes, to having lots of issues. Sometimes people with a mild manifestation fail to realize that everyone is a little different. Take Care! This is one of your best blogs. It highlights one of my favourite things about having a disability. Generally people view the world in a universal way. There is only a right way and a wrong way and there is nothing in between. This is impossible for everyone in reality but when you are disabled you are so much more aware of how the world doesn’t work this way. As someone that has accepted my disability long ago and believes in equality I have forced myself to take my needs more into account. I have found myself saying my full-time job is managing my disability, work has to happen around that. Kind of goes against the stubbornly independent side but if I ignore it, physically I won’t be able to cope and mentally my head will explode. Thanks for the honesty, it will ease the pressure people with disability place on themselves. It will also help us be less afraid to talk about these issues. Internalized ableism; I was likewise unaware of this in myself until I met so many out here. I'm grateful for their witness. I'm also grateful for you and your witness. Thank you. As someone pointed out to me awhile ago, we are not only members of a community, we are members of a family. The family of people with disabilities. Thank you for what you wrote Carly. As a person with pain, I wholeheartedly hope the pain lets up. Oh why must people keep asking us to validate our truth?? Life is difficult enough with out having to prove our experience is real and valid. Thank you for your patience, once again I'm sure, while you reiterate reality to those in denial. I see this difference in opinion around disability within the autism and albinism communities as well. Some people accept that they are disabled and others don't. I accept that my son has challenges and is considered disabled (we could get a parking permit but choose not to, etc.) but I sill don't feel entirely comfortable using that term on his behalf, so I refer to his special needs instead. He is getting older now and will eventually make his own judgement on how he identifies himself. For now, I identify his challenges and work with him to minimise their impact and maximise all the amazing things he can do - my job is to guide him and to prepare him as best I can for the life ahead of him. I hope he can one day express himself in a similar way to you Carly. Thanks for another great post Carly. It touches on a great point about how disabilities and illnesses and life are spectrums - we all have different experiences but that doesn't mean that all are not valid. I struggle with this a bit and am on a journey to acceptance of my disability, not feeling awkward about saying I am disabled because I am on the "high functioning" end... I think I will link this post to my private group for those with my disability.